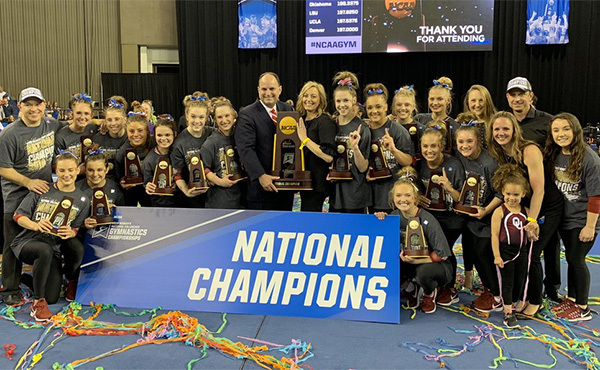 The National Association of Intercollegiate Gymnastics Clubs (NAIGC) concluded their 30th annual National Championships in Fort Worth, Texas on Saturday, April 14th, 2018. In the Women’s Level 9 competition, an incredibly close meet ended with the NAIGC Alumni team winning with a 112.950, with last year’s champions, Texas A&M University, less than two tenths behind. 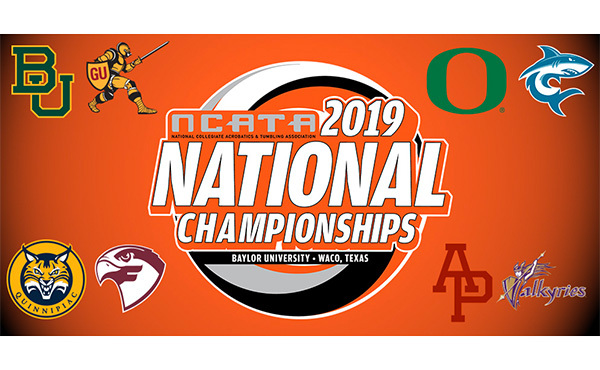 Molly Stuckey from the NAIGC Alumni team won first place All-Around (AA) with a whopping 38.1250, followed by Julie Bouton from Liberty University and Jacqueline Holland from University of Texas. Molly also took first place on the balance beam and uneven bars. For the Women’s Level 8 competition, Grand Valley State University took first place with a 108.950, with Boulder Gymnastics at the University of Colorado only a quarter tenth behind! Madeline Brandt from Bowling Green State University won first place all-around with a score of 37.350. The University of California, Davis, won the Level 6 competition with a score of 110.625, with Hannah Lichtenberger from the same team winning all-around with a 37.800. 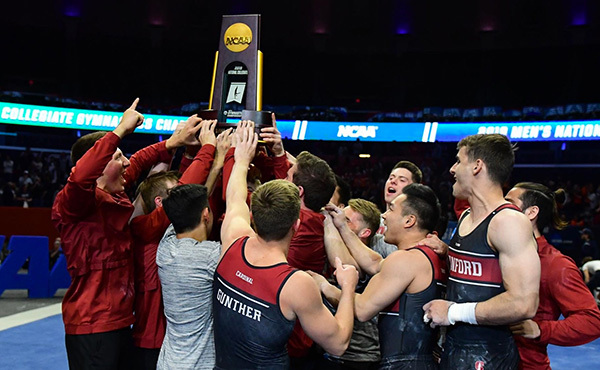 In the Men’s Collegiate Division for the Modified NCAA level, the University of Oklahoma continued their winning streak, taking first place with a 238.8, followed by Arizona State University in second place, and Texas A&M University in third. Connor Tobias from Texas A&M University won first place all-around with 78.900, and tied for first on the high bar. In the Men’s Open Division, the Modified NCAA level had the University of California, Berkeley, pull ahead from prelims to beat the NAIGC Alumni team and take first place with a score of 218.500. Tyler Green from Kennesaw State University, competing in his 7th NAIGC Nationals, won first place all-around with a 73.950 and also shared a four-way tie for first place on the pommel horse. 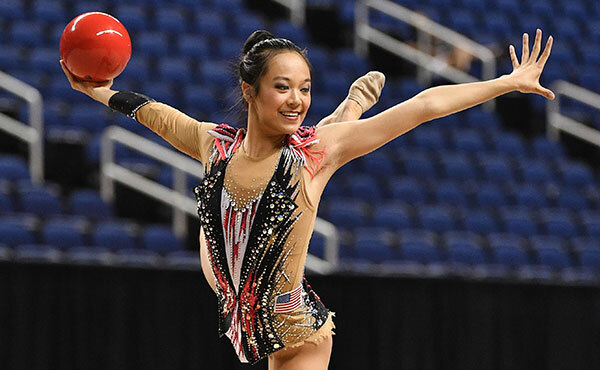 In the NAIGC Developmental level, University of Wisconsin-Madison took first place with a 193.65 with John Cesar from the same club winning first place all-around with a score of 65.850. 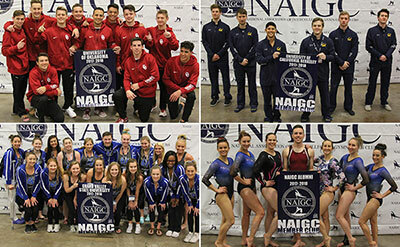 Finally, the one-of-a-kind NAIGC Decathlon, in which gymnasts compete in all ten events of men’s and women’s gymnastics for a combined all-around score, grew this year to thirteen total participants. Julia Sharpe from the Massachusetts Institute of Technology won 1st place with a weighted all-around of 252.975, with last year’s champion Justin Powers coming in 2nd place with a score of 251.65. 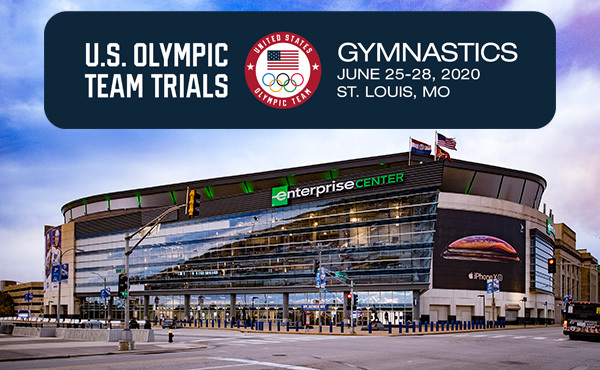 While over 1,200 gymnasts were in the building, the NAIGC also broke two world records for most simultaneous somersaults and most simultaneous handstands. 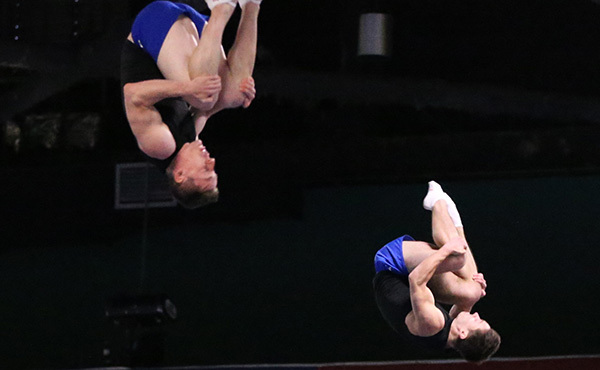 The previous world records were 100 somersaults and 399 handstands, but NAIGC gymnasts put up approximately 1,100 somersaults and 700 handstands.